If I know anything, it's that I absolutely love getting dressed up ready to go out! And what better way is there to dress up than with sparkles and glitter?! Today, I'd like to share with you my top 3 favourite dresses that have been jazzed up with sparkles, sequins, and sparkling sequinney (not even sure if that's a word, but it is now!) patterns! I purchased this bodycon silver glitter dress for £30 in the January sales. When I first saw it on the hanger I wasn't sure if I would like it on, but I was very wrong! Its so comfortable and fits perfectly. The dress is quite simple but with the addition of sparkles and the cutting detail at the bottom, I feel that not much more is needed! It is very short so I do have to be careful when bending over, but other than that I'm really pleased with this little bargain. This dress is one of my absolute favourites! My sister bought me this dress as a Christmas gift in 2013. 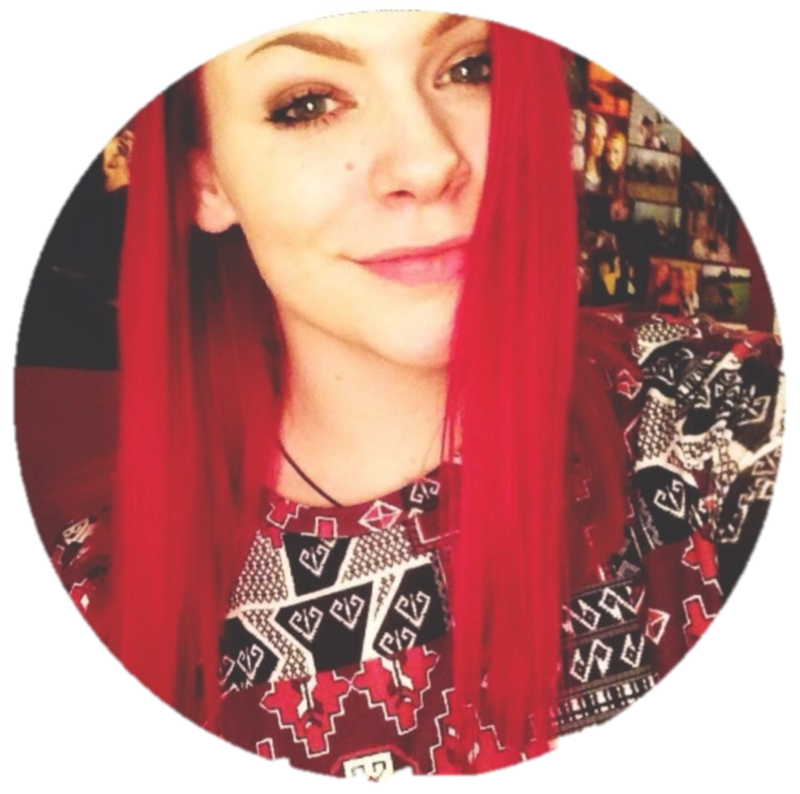 Its COVERED in red sequins and is perfect for the Christmas season! The skater style is so flattering; it sits in at the waist and flows out at towards the bottom. I don't usually like skater style dresses as I have quite big hips and I just feel its not as flattering, but I take it back with this dress! This dress has a scooped back meaning that a bra will be seen if worn, but because it fits so well around the chest area (not too tight, not too loose) I can get away with not wearing one! I bought this dress my Works Christmas do in 2013 and I've loved it and worn it many times ever since! Its a bodycon dress - a style I tend to wear a lot of as I feel its most flattering towards my body shape - and it has the most beautiful pattern printed all over it. It's very much like a leaf pattern and has the colours red, pink and gold that merge together, and of course it has glitter all over it too! This dress also has a scooped back, but slightly higher up compared to Dress 2. 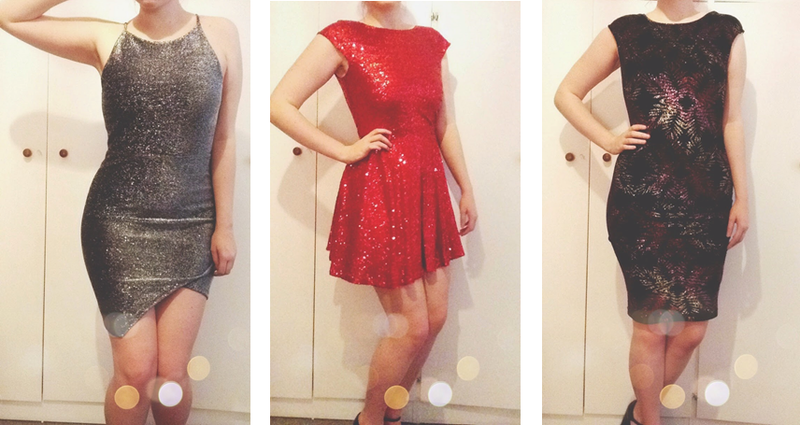 3 different styled dresses all made up with glitter and sparkles! Which one is your favourite?! Do you have a dress in your wardrobe that makes you feel like a diamond when you wear it?! I love the first Topshop dress!